Famed DJ Robbie Leslie will spin his magic for Palm Springs Disco Heat. 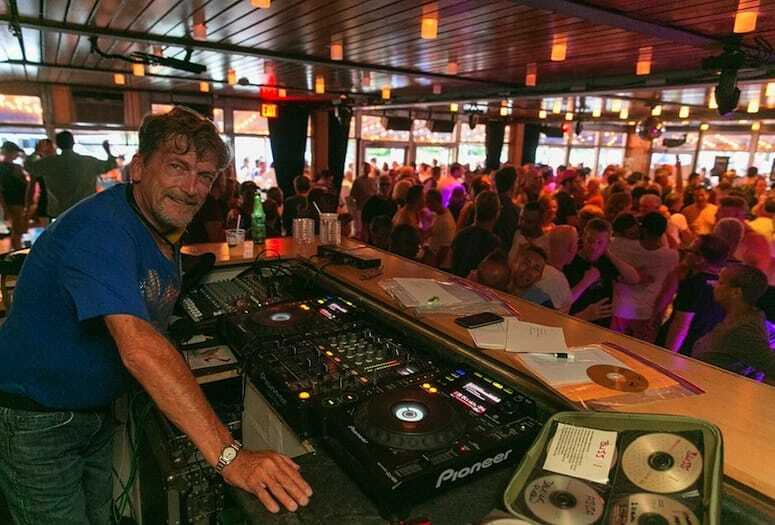 Former Studio 54 DJ Robbie Leslie will spin vinyl at Palm Springs Disco Heat, Sept. 10-11, at The Saguaro. Back in the days of disco, the DJ booth was at the center of the action, with talented “jockeys” playing the hottest music, catering to VIP requests, and keeping the pulse of the boisterous crowd. 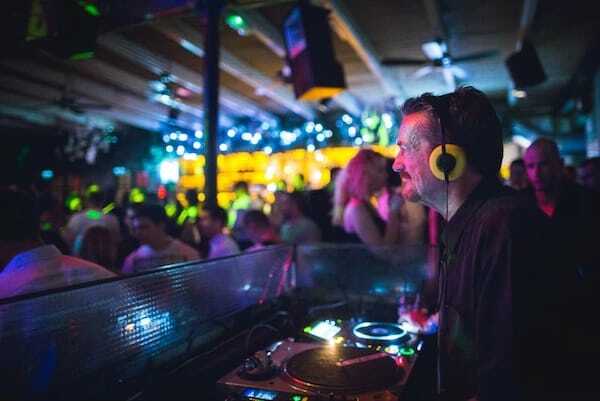 Robbie Leslie is best known as one of the most enduring and successful major club DJs ever to hit the notorious 1970s club circuit. Leslie will be a featured DJ at Palm Spring Disco Heat Sept. 10-11 at The Saguaro Hotel amid pool parties and activities produced by BackToDisco. This will be Leslie’s first trip to Palm Springs, and he’s excited to ignite the desert by spinning classic disco dance music along with 12 other guest DJs including Victor Flores of Circus Disco. Palm Springs Life asked Leslie what it was like inside the DJ booth and what he thought about the music, fashion, and scene at the iconic Studio 54. 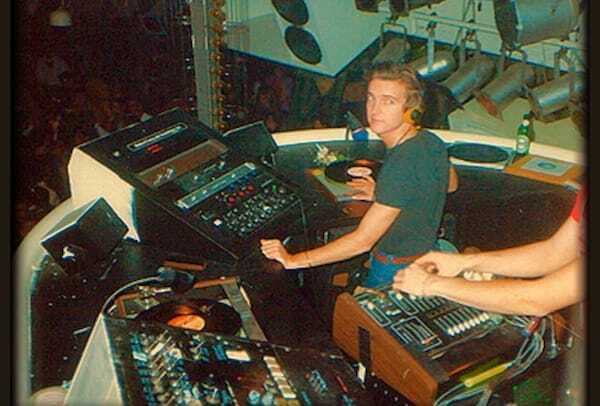 Back in the day, commandeering the DJ booth at Studio 54 in New York. How important is the DJ to the club atmosphere? RL: The music you are playing is the soundtrack of everybody’s night. You hold the power. Depending on the season and general overall feeling in the air, you can amp up the crowd or put a bad spin on the night if you aren’t on your game. A discothèque is fundamentally about the music. If you are going out, socializing and dancing, you want to go out and have a night to remember, so these songs are touchstones to the past. What were your favorite clubs during the heyday of disco? RL: I played some of the biggest clubs in New York. The Palladium. The Saint. Studio 54.12 West was one of my favorite jobs ever. It had a discriminating audience. They loved to dance and were devoted to the music of the day. Studio 54 was the most iconic. It was a magnificent space. Explain the magic of Studio 54. RL: Studio had a very interesting formula. It was lightning in a bottle. It was the place everyone wanted to go and get in. There was a bit of a thrill because you never knew if you could get in and “party at Studio tonight.” The unpredictability and desire to get in made it popular and it drew a great celeb crowd. There were no givens or absolutes … even VIPS couldn’t get in sometimes. PSL: Describe Studio 54 fashion. RL: The dress was eclectic and delighted in the unexpected. People came with body paint, all gold or all silver. Someone else would be in a Halston gown or white tie and tails. Some people came straight from work and might still have a waiter uniform on. Others came in costume like it was Mardi Gras. It was an unplanned mix of people and every night was different. RL: We wanted to make people happy and keeping the magic sustained. You didn’t want to say “no” to anyone and without putting a fine point on it, there was nothing you couldn’t do. You pretty much could get a green light, especially if you were a celeb. It was a very hedonistic time. Studio 54 kind of nurtured the spirit that there were no consequences. It was all about having the most amazing time, hearing the most incredible music, meeting who could be “the one” on the dance floor. It exuded a glamour and mystique that pulled you into the middle of the club. PSL: What’s the art of spinning vinyl records? RL: Back at Studio 54 (and in all clubs of the era), we spun vinyl. The DJ booth was an ever-changing kaleidoscope of visiting VIPs and Hollywood icons, record company promoters with new songs, and our regulars, Andy [Warhol], Liza [Minnelli], Truman [Capote], Diana [Ross], and [Roy] Halston. There were constantly special effects like confetti … being shot into the air. As DJ, I had to be ever-vigilant to keep curious celebrity hands away from the turntables or shield the tone arm from a blizzard of falling snow or glitter! We who were spinning had to be ready for everything and anything! It was true sensory overload … and it was glorious!